The line exists out of shower gel, scrub, soft cream, hand cream, lip balm and soap. 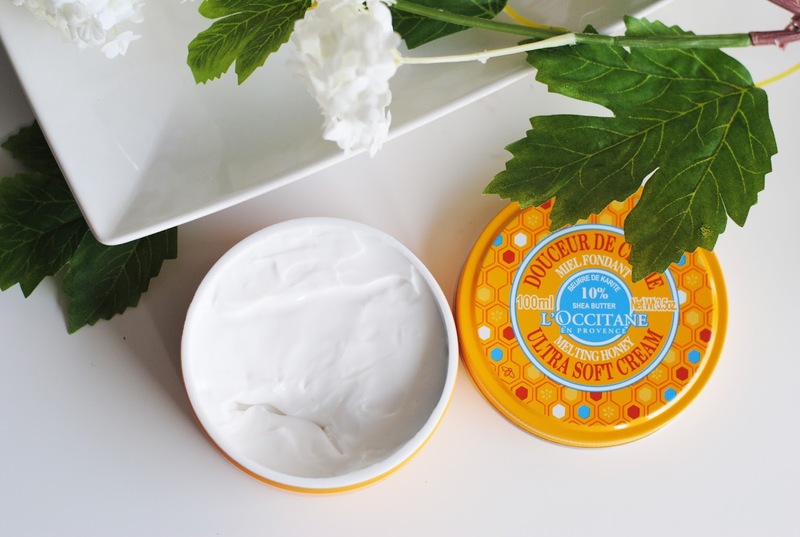 I'm going to talk about the scrub, soft cream and hand cream today! 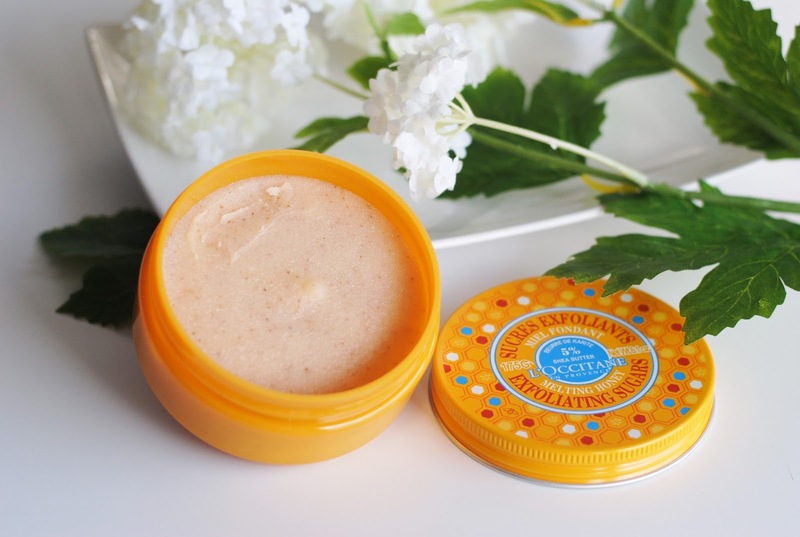 One of my favorite bath products are scrubs, I have so many of them, so I was the most curious about the Melting Honey scrub. The scrub has actual sugar and sugar crystals in it, paired with little pieces of nutshell. It's the perfect texture and grain for a body scrub. 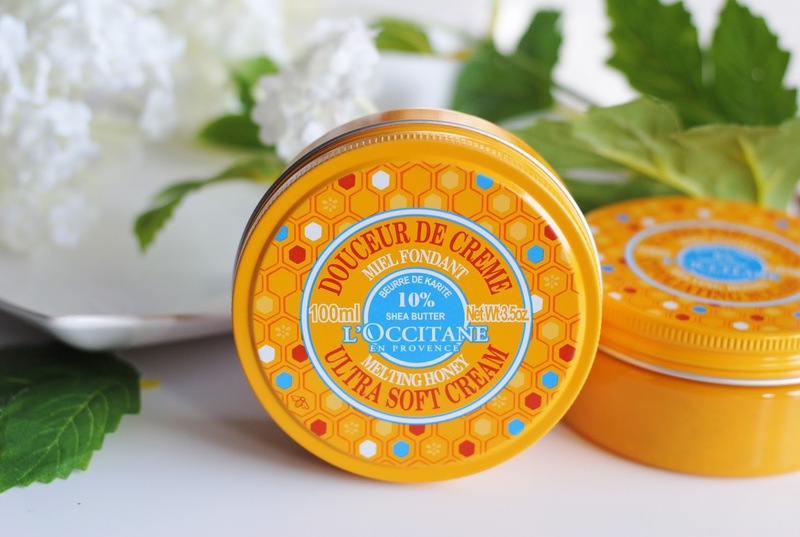 It also softens the skin thanks to the honey and shea butter. Oh, and it smells heavenly, not unimportant. Next we have two creams, a body and a hand cream. The whole collection smells amazing, it's got this very sweet honey scent. 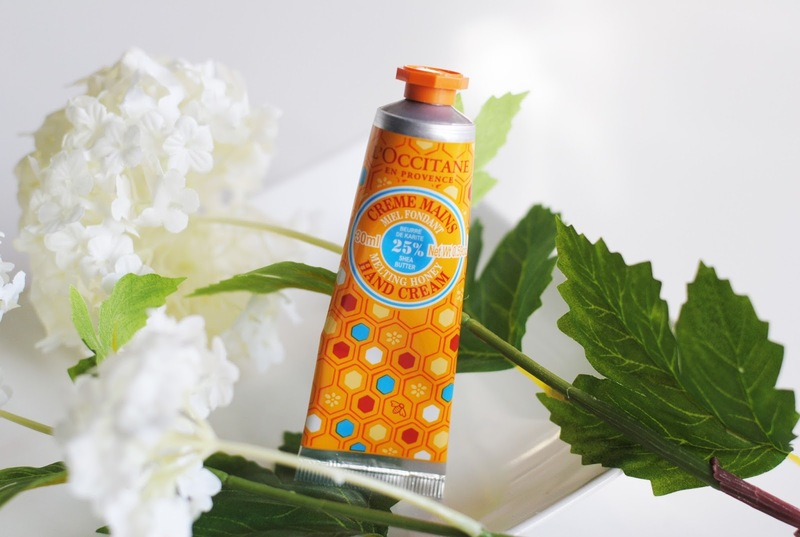 The body cream feels incredible soft and nourishing. 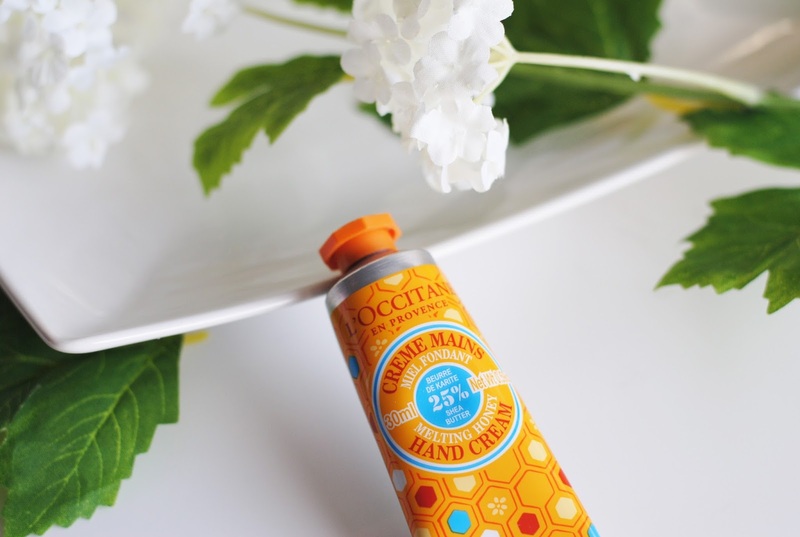 The hand cream has a thicker texture and I even like this better than a runny, liquid texture. It doesn't grease up your hands. 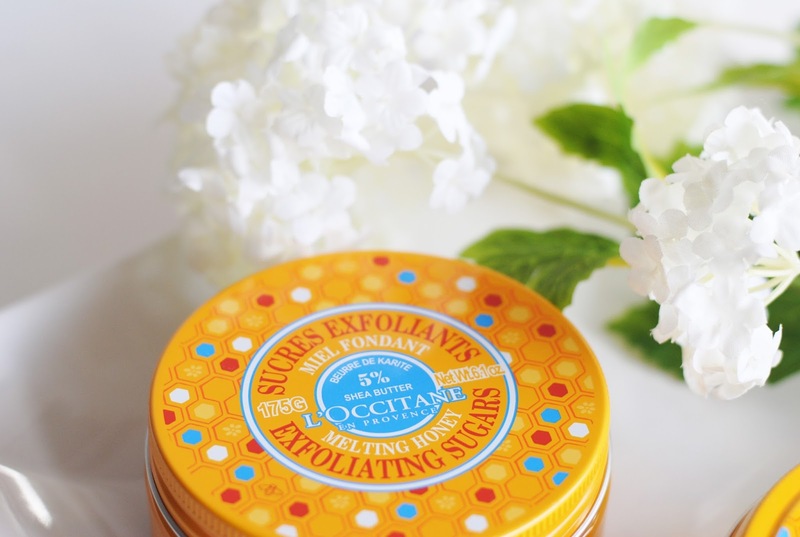 These products are pretty amazing. 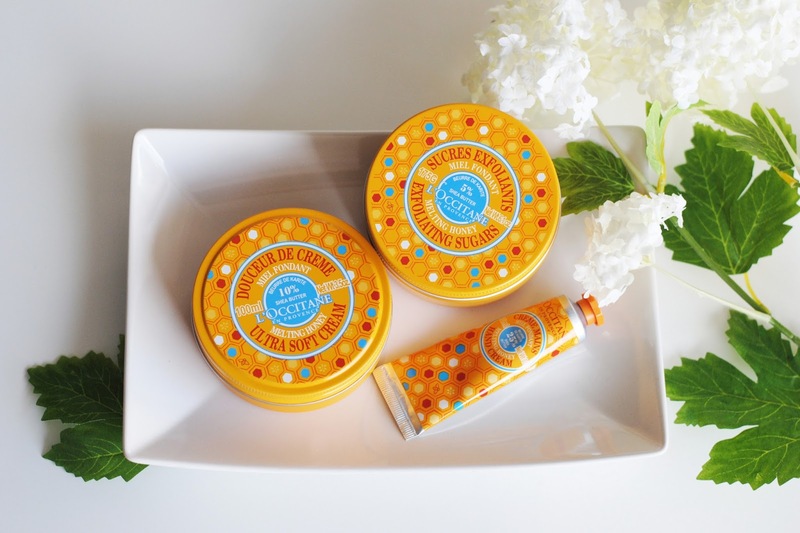 I found a new bath and body brand that I really like in this! 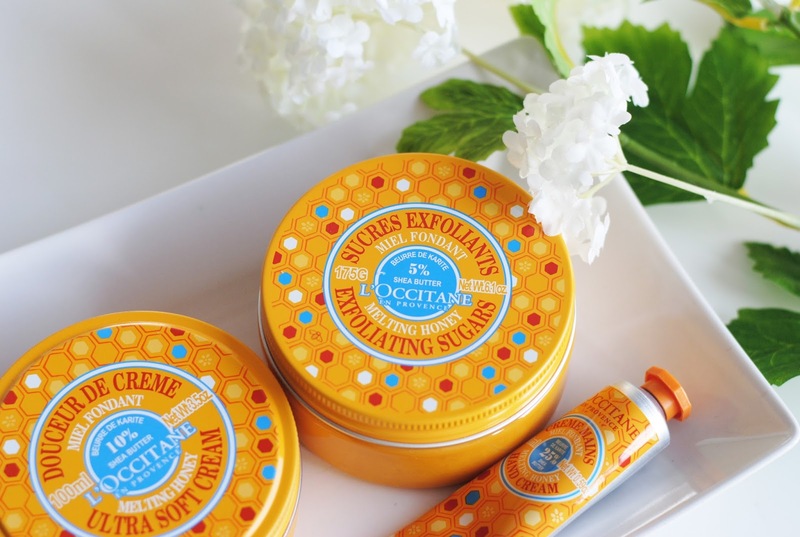 I'm very curious about other products, so I will be visiting the L'Occitane store pretty soon. 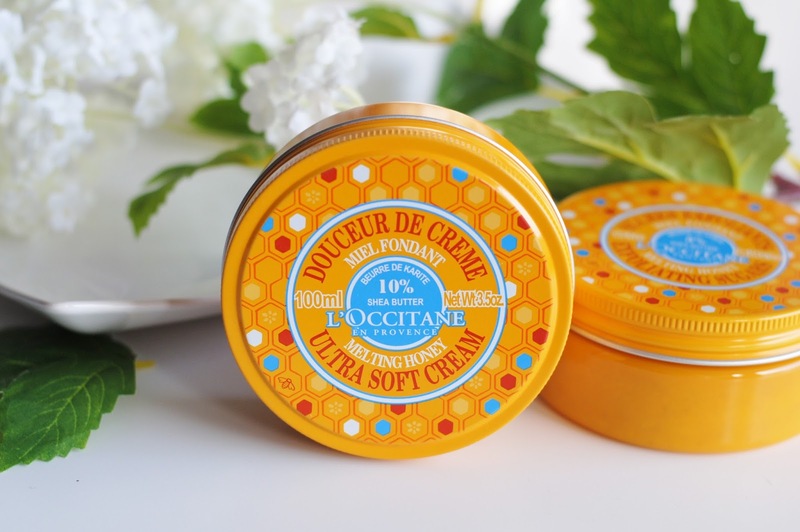 Have you ever tried a L'Occitane product? 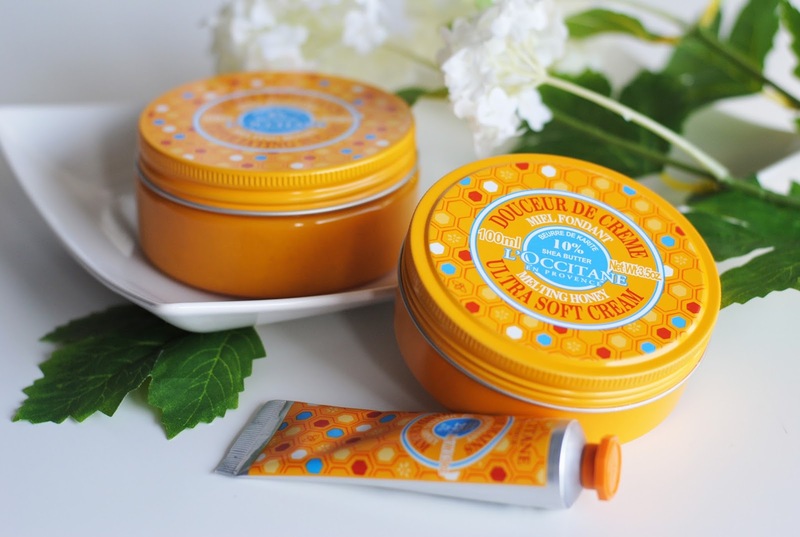 Have the handcream at home and is still one of my favorites! Not only for what it does to my skin, but the scent .. OMG! I've never tried one of their products but they look great! 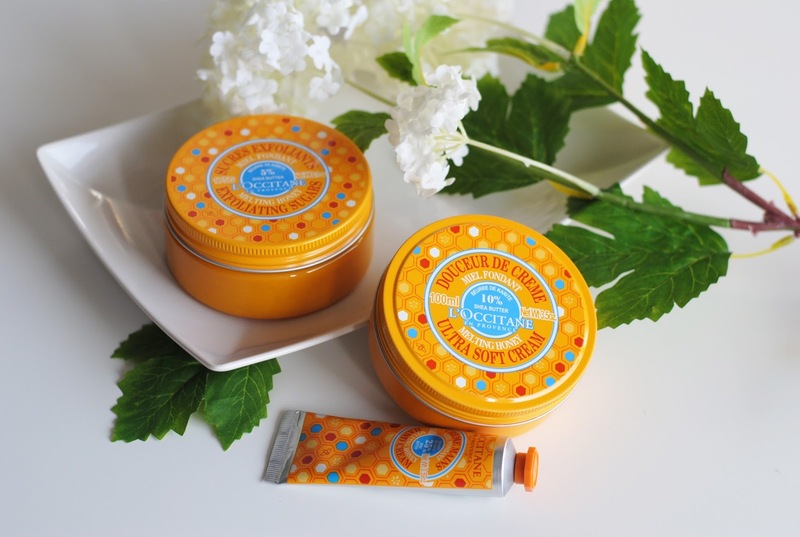 And a whole collection based around honey, that has to smell so good! 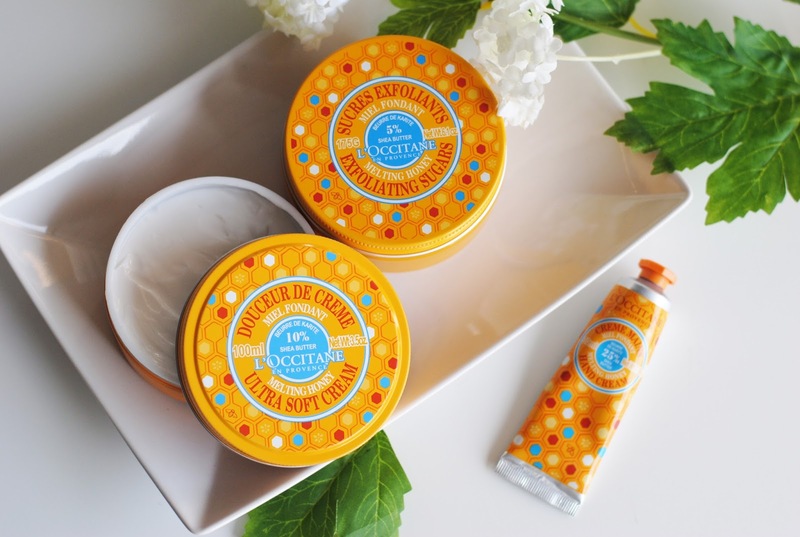 This is probably my favorite L'Occitane collection to date! That packaging :0 in love!